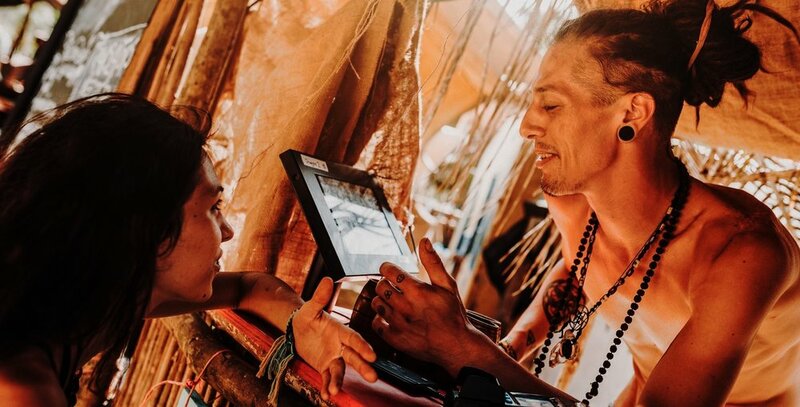 Volunteering during Tribal Gathering is the easiest step you can take to get involved with GeoParadise on a personal level. Tribal Gathering is a magical event fueled by the hard work and dedication of an international team of creative and passionate people. Bring your energy to the mix. GeoParadise is a public charity, with 100% of the proceeds from Tribal Gathering being used to fund charitable projects with indigenous communities throughout Central and South America. As a one of a kind festival, unique from every other event in the world, Tribal Gathering operates differently from other festivals you may have volunteered with in the past. We place the greatest emphasis on our charitable goals. To ensure our charitable programs are robust and effective, we work to ensure as much funding as possible is diverted into these programs. In order to ensure the success of our charitable programs, we require that you purchase a Tribal Gathering ticket. You will not receive a refund of your festival ticket by volunteering. Meal/drink vouchers will be provided for each volunteer shift you complete. Submit the form below and volunteer coordinator will contact you back after reviewing the application. This application is only for volunteering during Tribal Gathering. If you would like to help with Tribal Gathering setup, apply here or if you are interested in volunteering during pack-down apply here instead. Have you volunteered on other Festivals? Please tell us about your experience in your given skill set. Please include notable projects and past or current employers.